← Dan D’Agostino Integrates – Again! 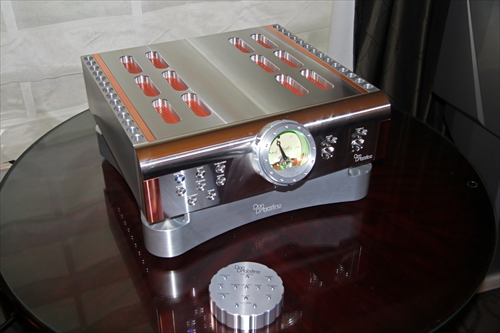 Yesterday I wrote about Dan D’Agostino’s new integrated amplifier. A big, costly machine. Certainly a machine that’s going to please some pleople who can afford it. I also wrote about our own PrimaLuna Integrated Amplifiers. These are all tube based and cost virtually nothing if compared with the machine from Dan the Man. We have 4 different models now: ProLogue Classic Integrated Amplifier, ProLogue Premium Integrated Amplifier, DiaLogue Premium Integrated Amplifier and the DiaLogue Premium HP Integrated Amplifier. All coming with our Adaptive Auto Bias circuit, switch for EL34-KT88/120 choice and several other unique PrimaLuna features. But next to that we have something that can give an awfull lot of pleasure to a lot of those. We carry the BRIK miniature models. In that range we find also an Integrated Amplifier. This thing works fine and is affordable, Very affordable. For € 165.- exclusive power supply or € 200.- with the simplest powersupply included, you are in the better sound business. Improve your laptop, desk computer, XBox etc sound by connecting a good pair of speakers and good amplification. 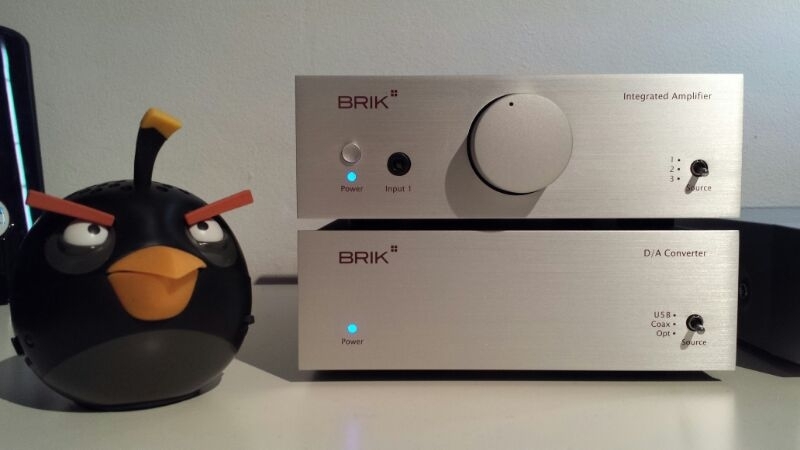 Our youngest audio-using family-member Nick van Eggelen is very happy with this BRIK amplifier and the matching Dac. Computer, X-Box, TV it all sounds wonderful. And maybe one day he will moving up step-by-step in quality. Like his father and his grandfather did. :-). On his way to own a Dan D’Agostino Momentum Integrated Amplifier? Dit bericht werd geplaatst in Accessoires, Algemeen info - Informations générales, Bluetooth stage, BRIK audio, Internet Radio, Kabels - Cables, Phono stage, Versterkers - Amplificateurs en getagged met audio, Brik, dan d'agostino, durob audio, electronics, herman van den dungen, hifi, music. Maak dit favoriet permalink.